Last summer, Bend, Ore.-based Newport Avenue Market marked their 30-year partnership with Oregon Country Beef—a longstanding relationship built on a bedrock of loyalty and trust. In fact, the supermarket was the beef suppliers first customer way back in 1986 because of their commitment to high product quality, animal welfare, and environmental standards. Not just any product makes it onto Newport Avenue Market’s shelves. They’re choosy. Only the very best for their customers, and Oregon Country Beef was a big part of what differentiated them from the national chain supermarkets. So, to celebrate their 30 years of offering shoppers high-quality beef from local butchers, the grocer decided to invite the Central Oregon community to a party. This wasn’t just any party, either. It was a massive celebration of all things beef. They put the word out via social media, radio ads, print ads, and a series of shopping bag inserts highlighting the special relationship the store has with Oregon Country beef. The day included giveaways like a Traeger grill gift baskets, and steaks, New York steaks sold for $9.99/lb, live country music and dancing, free OCB hot dogs, in-store discounts, and fun activities for the family, including roping lessons. In the end, you could say the store event was something “rarely this well done,” to speak in beef-terms. Not only did it boost sales and build customer loyalty—Newport Avenue Market gained recognition as a leader in the grocery industry. The supermarket beat dozens of entries to be recognized for the year’s best store event at The NGA Show 2017. Now it’s your turn. 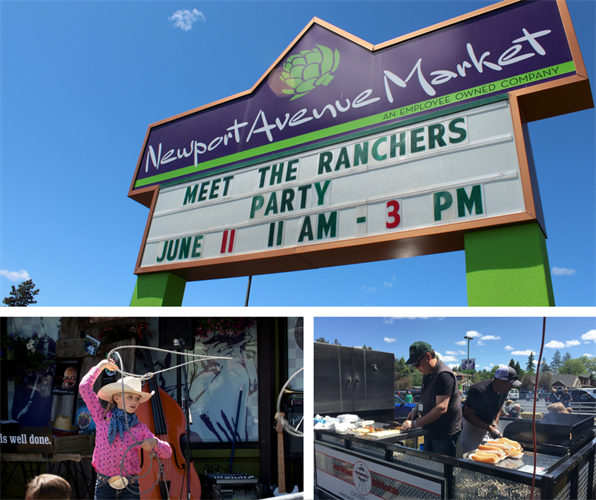 If you’re planning on putting on a creative program, campaign, or event like Newport Avenue Market’s, we want to know about it! The annual Creative Choice Awards contest, presented by Kellogg’s and Unilever, honors and recognizes the best marketing and merchandizing programs throughout the industry. With 11 different submission categories, from store opening to public service, there’s something for everyone.